Leading Asian restaurant operator, Mango Tree Worldwide, is celebrating after Mango Tree Guangzhou was voted as one of the city’s favourite restaurants in an online campaign led by TATA, the hugely popular Chinese food blogger with over millions of followers. 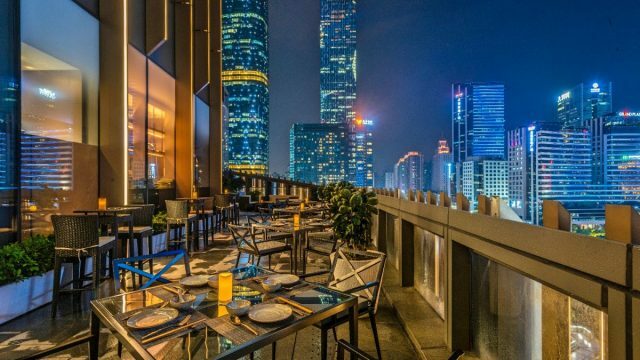 The upmarket Thai restaurant, which opened last year within the 530-metre-high Guangzhou CTF Finance Centre, was honoured with the “2018 Guangzhou Best Restaurants by TATA” award. The Best Restaurants by TATA awards celebrate the “best of the best” of Chinese dining. Guangzhou-based TATA is one of the country’s influential food bloggers and a key opinion leader (KOL), with millions of followers on Sina Weibo, the popular Chinese micro-blogging site. He reviews thousands of restaurants in his typically humorous Cantonese style, and selected top dining places for his followers to try. “We are thrilled to be selected as Guangzhou’s Best Restaurants by TATA. 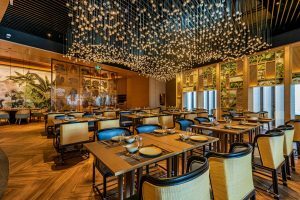 It is hugely satisfying that the award was voted by one of the most influential KOL in the country, which shows just how much of an impact Mango Tree Guangzhou has made since it opened in mid-2018. We always believed that this impressive restaurant would create a buzz and raise the quality of Thai cuisine in Guangzhou, and this award shows that we have succeeded,” commented Trevor MacKenzie, Mango Tree’s Global Managing Director. “Chinese social media is perhaps the world’s biggest stage, with the number of users expected to reach almost 800 million by 2023*. This makes KOLs like TATA hugely important for the hospitality industry; he is an expert in his field and his posts have the potential to reach and influence millions of consumers. In future we will continue to embrace this modern media by reaching out to Chinese netizens across all online and social media channels,” he added. Mango Tree Guangzhou opened last year in the K11 Art Mall, an international lifestyle complex and cultural hub on the seventh floor of the Guangzhou CTF Finance Centre – one of the world’s tallest buildings. 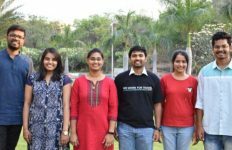 Bright, stylish and spacious, with panoramic windows overlooking the city, this new Thai restaurant became an instant hit with diners and attracted the attention of prominent media and bloggers like TATA. 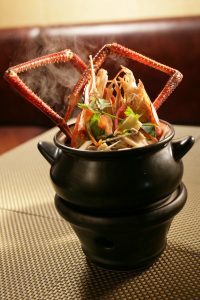 With its innovative and authentic menu crafted by award-winning Thai chef, Aphichat Traduangdee, Mango Tree Guangzhou has transformed the city’s Thai dining scene. 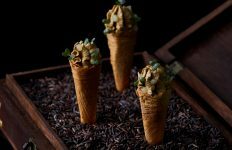 Chef Aphichat elevates classic Thai dishes to new levels of excellence, allowing diners to enjoy fine Thai dining whilst gazing out over the glittering Guangzhou skyline. The restaurant is able to seat 147 diners in its elegant indoor dining room and dramatic alfresco terrace. Mango Tree Worldwide has identified China as one of its key target markets. 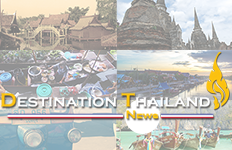 With more than ten million Chinese now visiting Thailand each year, Thai cuisine is becoming hugely popular in mainland China – especially among millennials. In light of this, Mango Tree will continue to seek fresh opportunities to expand its footprint in key Chinese gateway cities, including Guangzhou.